Thank you City of Canton, Canton shoppers, the farmers at Canton farmers market and especially Micki (Canton Farmers Market Manager). At the close of this our third year participating at the Canton Farmers Market it’s a good time to reflect on how the market has grown and my own little tent has changed. I’m ever so grateful for the option to make my overgrowth of garden goodies and honey available for sale to the community. I’ve learned to “pivot” at the Canton Market- based upon customer feedback and featured items or events each week. In fact, my deep dive into jams started last year with the reminder to “bring something peach” for the peach weekend. So, here it is a year later and I’ve brought to market more than 25 flavors of jam, jellies and marmalades. Some, like Apricot Ginger and Blackberry Basil, are big hits! In fact, we had people lined up the first weekend this year to secure a new batch! Because we use fresh ingredients (not dried fruit), we had to wait for the fruit to be in season since we sold out in 2016! from a customer who purchased our Lemon Ginger Marmalade (and returned the next week for more). Thank you!! This weekend is the annual costume event, while we cannot be there, we hope everyone has a great time. As a reminder, a smattering of our products will be available throughout the winter across the street from the Canton gazebo at the Canton Cherokee County Historic Society Gift Shop located on the first floor of the big white marble building facing the square. We’ve also opened our own Etsy store. Please keep in touch and we look forward to seeing y’all again in 2018!! 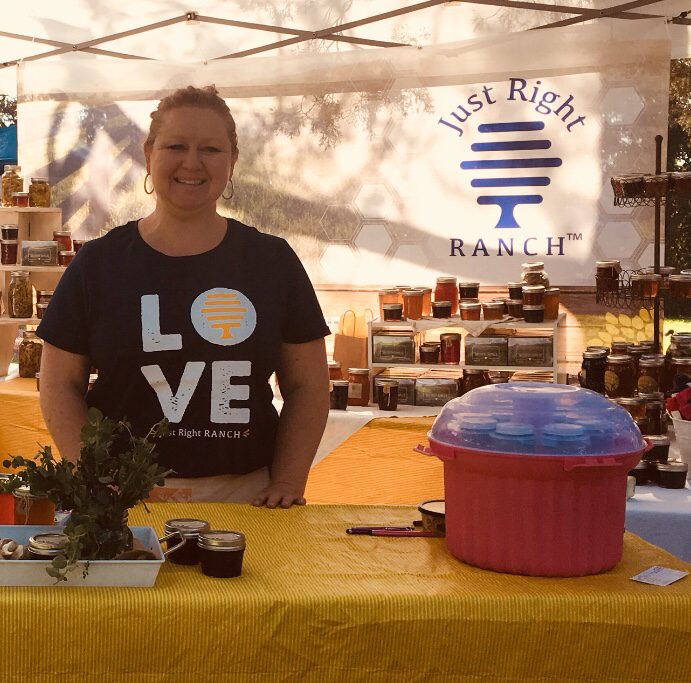 Just Right Ranch Wildflower Honey & our all natural locally grown loofah will be two of the initial products available for sale at the new Canton Visitors Center starting Small Business Saturday. Thanks to the efforts of the Main Street Board Member Micki Farley with the support of Mayor Hobgood, City Manager Peppers and Stephanie Joyner (Director Cherokee Co. Historic Society), Georgia Grown and Georgia Made products are available for sale. This spin-off from the Main Street Canton, GA Farmers Market allows farmers like us to have our products available to the public throughout the year. 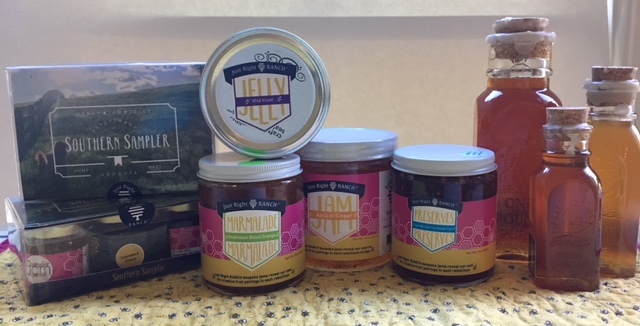 If you loved our honey & loofah launched at the October Canton, GA Farmers Market dates, come enjoy more starting November 28 at 10 a.m.